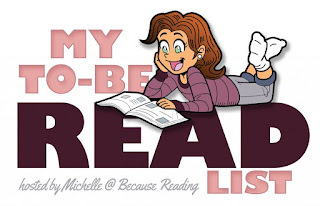 Musings of a Bookish Kitty: My November TBR List Winner! My November TBR List Winner! No Sunday post this weekend. It's been a very busy weekend. Mouse had her last soccer game Saturday and then we rushed across town for Girl-Derness, a Girls Scout camping event. While the older girls are able to spend the night, my young Daisies aren't quite there yet. Instead, they took part in a variety of day camp activities. It was a lot of fun for the girls, and I am sure we will all sleep well tonight! Thank you to all who voted in my November TBR List Poll. Some days I wish I could have you all vote on every book I read. Making the decision can be so hard with so many choices. As it was, it took me two hours to settle on the three in this month's poll. If I am able, I hope to read all three. I cheated and peeked at the results throughout the week, and up until near the end, only two books had votes. Even with that, it was pretty much a landslide in terms of who would win. With one (1) vote for Lazerrato, two (2) for Here Comes the Sun, The Sun Is Also a Star came in first place with twenty (20) votes. 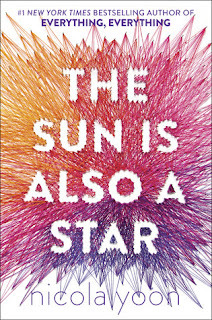 I am very much looking forward to diving into Nicola Yoon's novel, The Sun Is Also a Star. Thank you again to all who voted! Melody - Hopefully I can start it soon. It sounds like it will be fun. :-) I hope you enjoy it as well! I love the cover for The Sun is Also a Star! Hope it's a good read and I can't wait to read your thoughts on it! Hope you enjoy it! Have a great week! Kelly - Thanks! I hope you have a good weekend! Obviously a popular choice. Happy reading. Tracy - Yes, I actually thought it would be more of a competition. Oh, YAAAAAY!! "The Sun Is Also A Star" won!!!! I want to read this one myself. Of course, it's already on my GR shelves!! I was happy to vote on this one! Hope you love it!! I didn't get to post much this week, but I hope to at least post a Sunday post this coming weekend. We'll see. I hope you have a great weekend! I'm also of the mind to have everyone vote for all the books I read as well. It definitely would make my reading life easier sometimes. lol Happy reading! I think I voted on that one! I hope you enjoy it! Michelle - I think I will. :-) I hope you had a good week too, and enjoy the weekend. Looking forward to what you think about The Sun Is Also A Star. Have a great week. Nise' - Thank you! I hope you had a great week too. Enjoy the weekend! I can't believe Thanksgiving is this next week. It snuck up on me. Marce - I've heard great things about Everything Everything, so hopefully this one will be just as good. Admittedly, contemporary YA isn't really something I gravitate toward usually either. Well, then, that is a landslide victory!